EnablePath wanted to refocus its brand and digital presence to better serve and connect with customers. They needed a new site that would allow their marketing team to update it easily while collecting prospects through Salesforce's Pardot tool. Because the site was already built on WordPress, we were able to develop a new theme with much of the familiar functionality built directly into it. 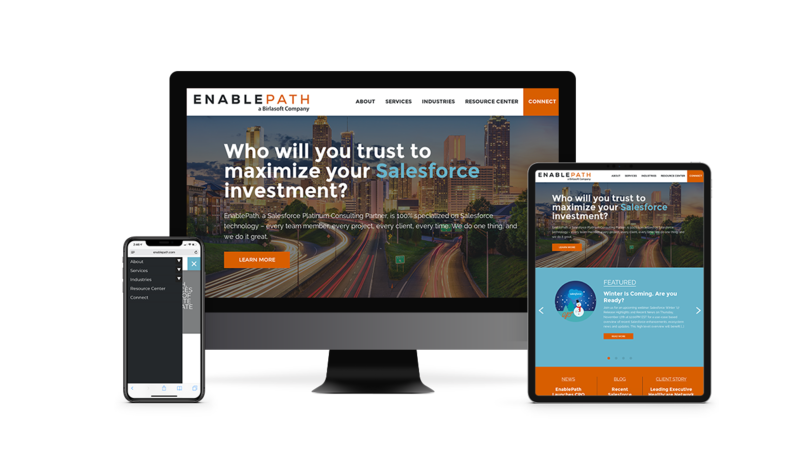 The final design highlighted EnablePath’s unparalleled experience and integral focus on Salesforce services, helping them rise above the competition in an increasingly crowded field.